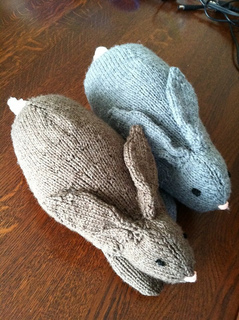 Henry’s Rabbit is a simple pattern that knits up fast and is a joy to make and give. All pieces are knitted in the round, so there is very little seaming. 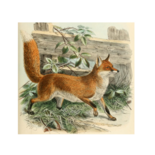 Finishing touches (eyes, nose and whiskers) can be embroidered on, or embellished with buttons, pieces of felt, etc. Finished size is about 12 inches long, and 6 inches high at tallest point. 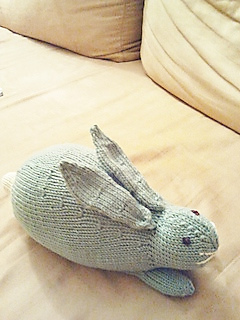 I knit loosely, so if you’re a tight knitter and want your rabbit to be the same size as mine, consider going up a needle size. 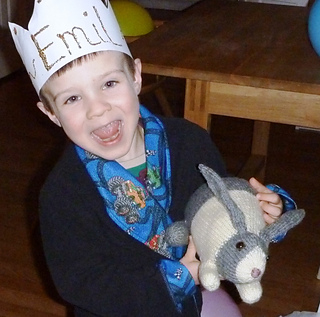 This is the parent for my Henry’s Bunny pattern.